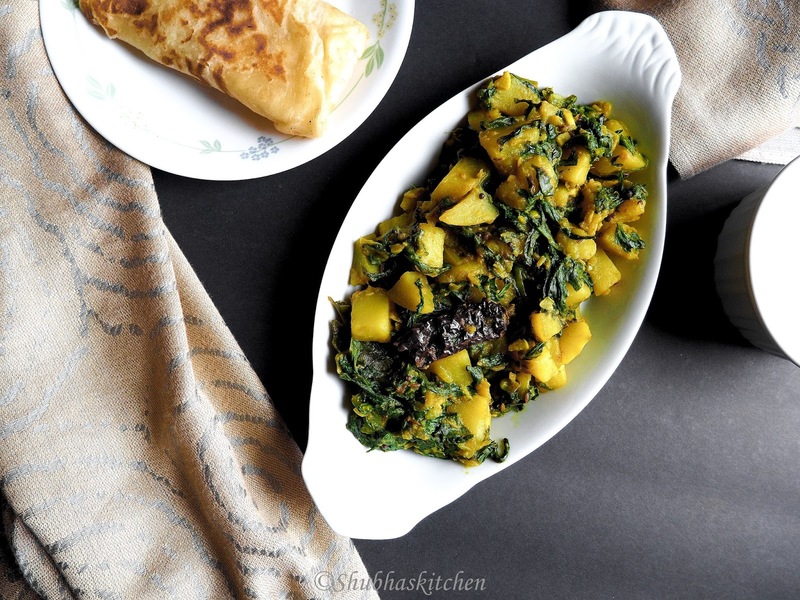 Aloo Palak is a semi dry curry that goes well with phulkas or any Indian bread. I even like eating it with hot steaming rice with some ghee / clarified butter on top. 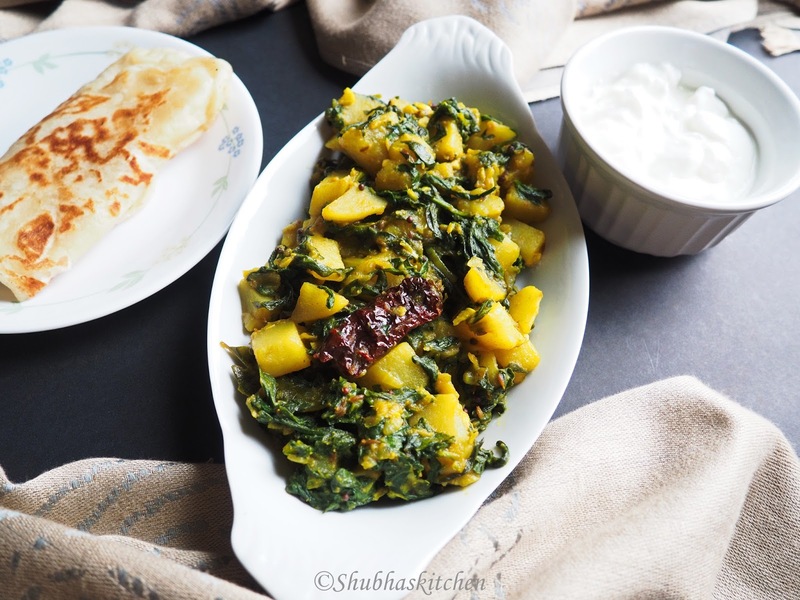 This is a very simple dish but makes a great side dish. 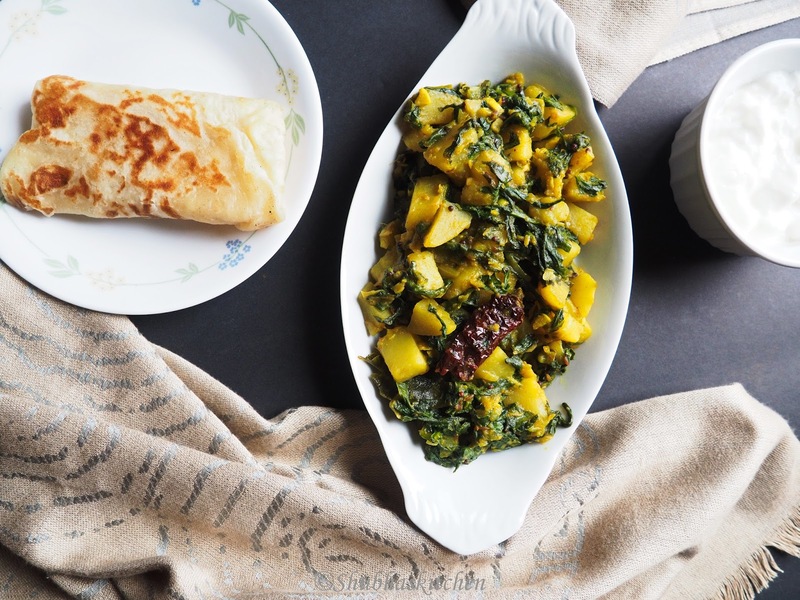 This is a simple dish that is easy to prepare and is gluten free and vegan too. Heat oil in a deep bottomed pan. When hot, add the mustard seeds, cumin seeds and dry red chillies. When the seeds start to splutter, add the curry leaves. Add the chopped onion , ginger and garlic. Saute until the onion slightly changes color. 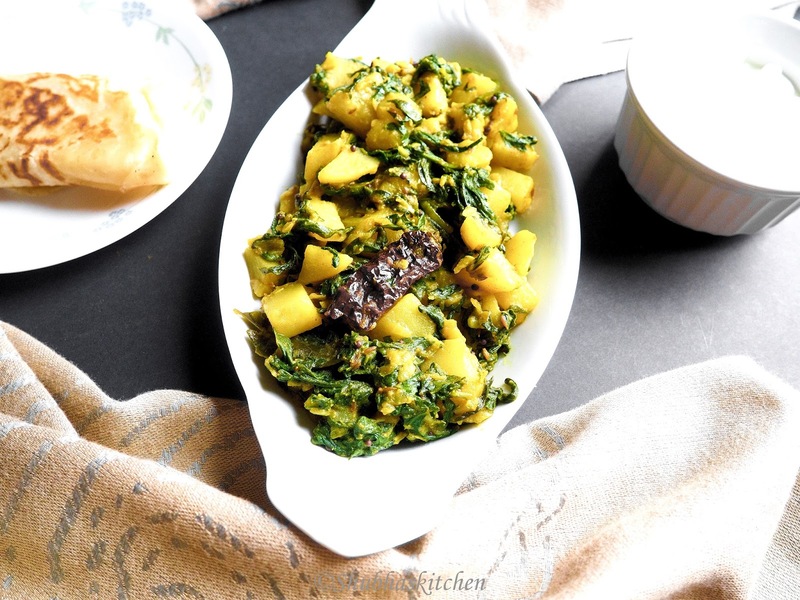 Then, add the potatoes and turmeric powder. Mix well. Cover and cook on low-medium heat until the potatoes are almost cooked. Add the chopped spinach and mix well. Add the coriander powder, red chilli powder , salt and sugar. Mix well. Cook until spinach is done . Lastly add the lemon juice , mix and turn off the heat. Serve hot with rice or rotis or parathas. The ever popular, in fact a customary dish in my house. I love it to its core. I've made my version and now, I have your version to try out. Loved. Mmhmm, sounds yummy.I love sauteed spinach. It looks so tempting,with paratha on the side.